Sew Together News - Quantum is here! Are Christmas PJs on you list? We still have a couple of spots in our class. soft flannels that would be just perfect. Level up your sewing by learning to install zippers! 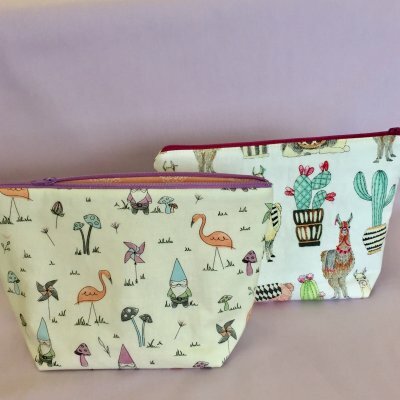 Join us for this fun class where you will learn how to install a zipper into a cute zipper pouch. These make great gifts and can be customized into any size. We have a great selection of cut and sew panels. Princesses, farm animals and mermaids on my! Follow the link below to learn more. 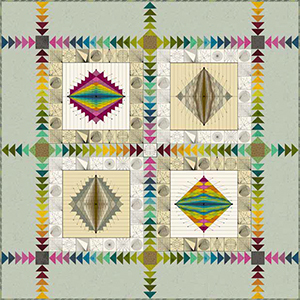 Quantum is the first line from Giucy Giuce for Andover Fabrics and is a unique collection of 32 prints and 2 panels. You can find the entire collection online and in the shop. Andover has published a fantastic free quilt pattern (above) to highlight Quantum in all it's glory and you can find it here. While we will be closed for Thanksgiving and the Friday after but the web never closes! Stay tuned for some exciting news. Watch your inbox and Instagram feed over the next few days.